Back in early December 2008, I decided - with inspiration from Mack Collier - to launch a weekly social media series about Bridging New & Old. I've been so impressed with the wisdom that these prominent and talented social media practitioners share that I decided - with inspiration from CK - to feature their responses to one question in an e-Book. Hence "Social Media's Collective Wisdom: Simplifying Marketing With Social Media - Book I." The e-Book focuses on the question: "what suggestions do you have for companies to implement so they can more effectively bridge old media with new media and connect with end users?" It takes the responses from the first 26 participants in the series. Since, as of this week, 34 interviews have taken place, there will be a Book II. I promise! 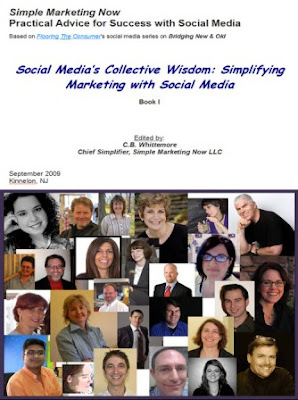 Social Media's Collective Wisdom Book I is available for free download from Simple Marketing Now. I invite you to read it. I encourage you to share it with others. I think you will find the wisdom within compelling and thought-provoking. And, then, will you let me know how you applied what's within? The following very wonderful and wise friends participated in Book I. If you haven't yet explored what they do, definitely do so. 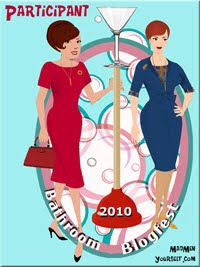 Congratulations CB - I am very much looking forward to reading your ebook!